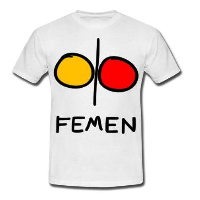 This entry was posted in EN and tagged news on January 27, 2013 by FEMEN. FEMEN kızları bu kez Davos’ta soyundu! This entry was posted in TR and tagged haber on January 27, 2013 by FEMEN. This entry was posted in ES and tagged noticias on January 27, 2013 by FEMEN. This entry was posted in IT and tagged notizie on January 27, 2013 by FEMEN.